About 9 months ago, my two best friends in Korea came by my apartment to see me, but I wasn’t home. Dave and I were actually out on one of our first dates. They probably came by to get the gossip because that’s just what girls do. When I didn’t answer the door, they left me a note. 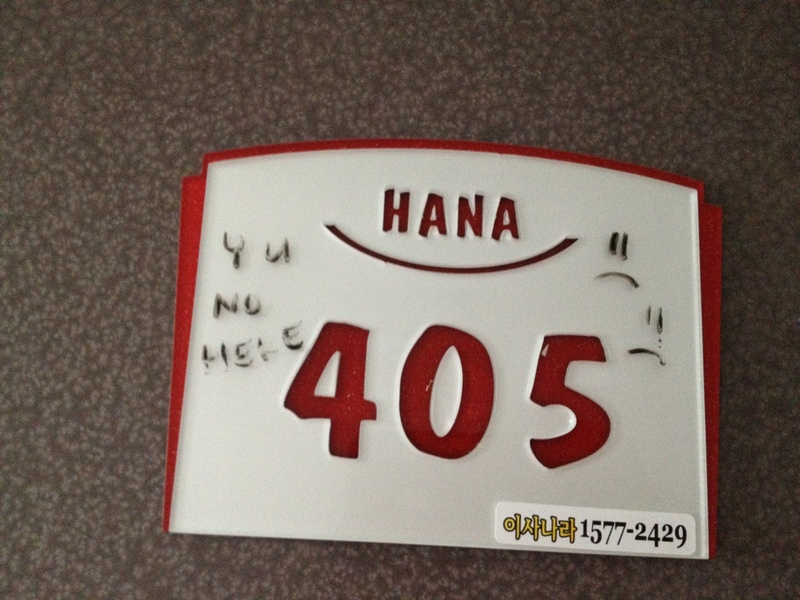 It says “Y u no here”. I never washed it off… until now. It made me a little bit sad. I feel so lucky to have met Jamie and Shanna. We have had so much fun together.